Hello folks! It has been so long since I have posted a new recipe, we’ve been super busy lately but I am now back! 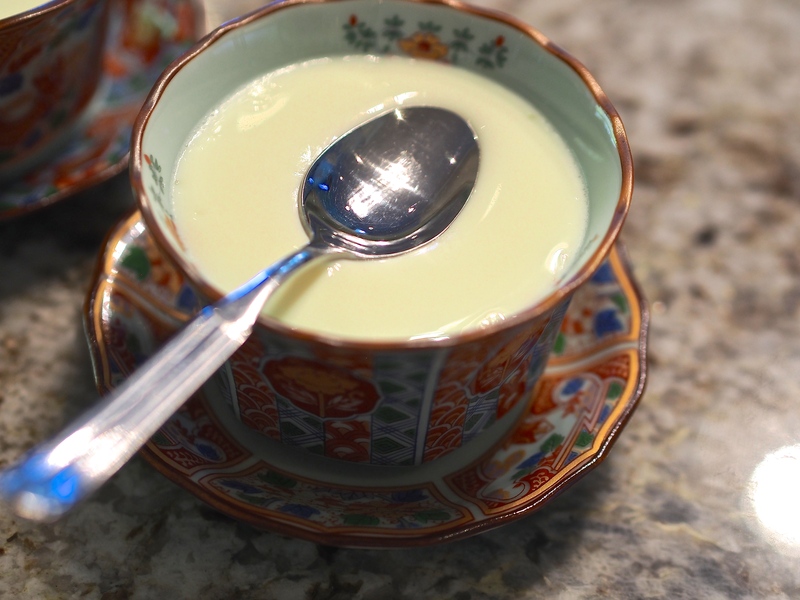 This time I wanted to share with you another super easy Chinese dessert that I have been making for years. 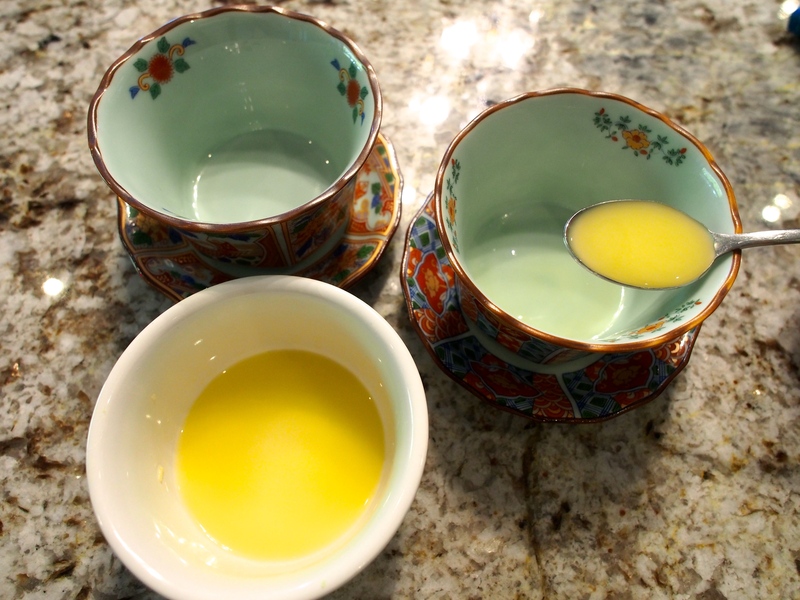 It only uses three ingredients, one of which is quintessential in Chinese cooking- ginger. In fact, I don’t think we cook a single Chinese meal without it! 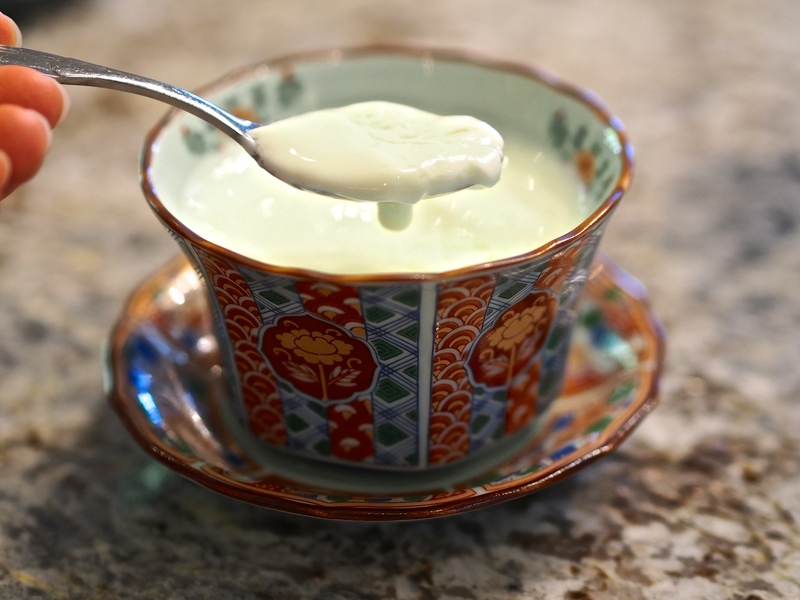 This pudding is softly set, not overwhelmingly creamy or sweet, and the ginger adds a little spice and zing to balance the sweetness. The best part about this recipe is you don’t have to plan ahead because you can usually find these 3 simple ingredients at home! Benefits of ginger: Ginger is greatly loved by us Chinese because its believed to be ‘warming’ to the stomach, so it is great for indigestion, gas, cramps, and morning sickness. It is also anti-inflammatory and immune boosting, making it a common household cure for arthritis, colds, and muscle pains. 1. Clean and remove the skin from the ginger, grate, and squeeze the juice out with your hands. *After a few minutes, the ginger juice will separate into a yellow liquid and white powdery sediment, make sure to MIX it before adding the milk because it helps with setting the milk. 3. Bring the milk and sugar to a boil over medium heat. 4. Lower the temperature of the milk back to around 80C by pouring back and forth between two pots approximately 11 times. To test when its ready, I place my palm against the secondary cup and it should be hot but still comfortable for me to keep my palm there for a few seconds. 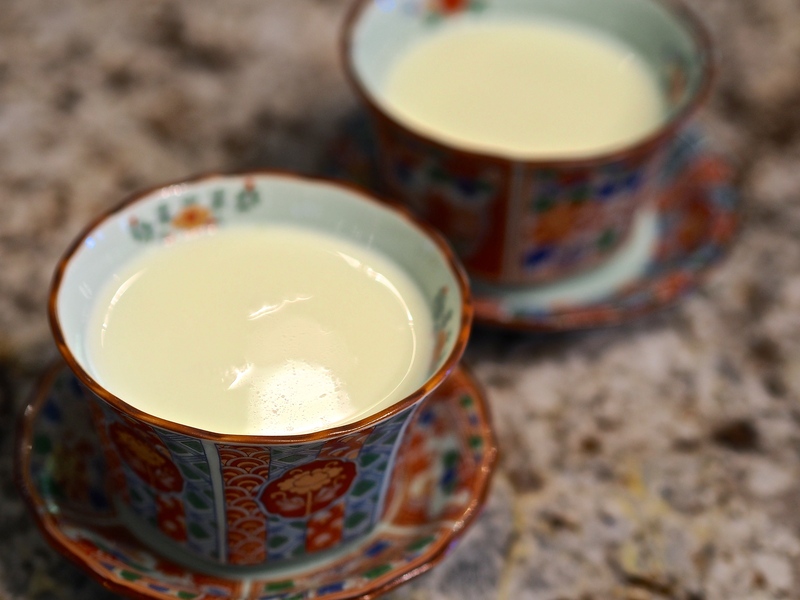 *The boiled milk must be cooled to around 80C in order to properly react and coagulate with the ginger- too hot or cold and it may not set! Several years ago, my dad made a bet against me that you didn’t have to lower the boiled milk’s temperature down so we did an experiment. Turns out his didn’t set while mine did! 5. 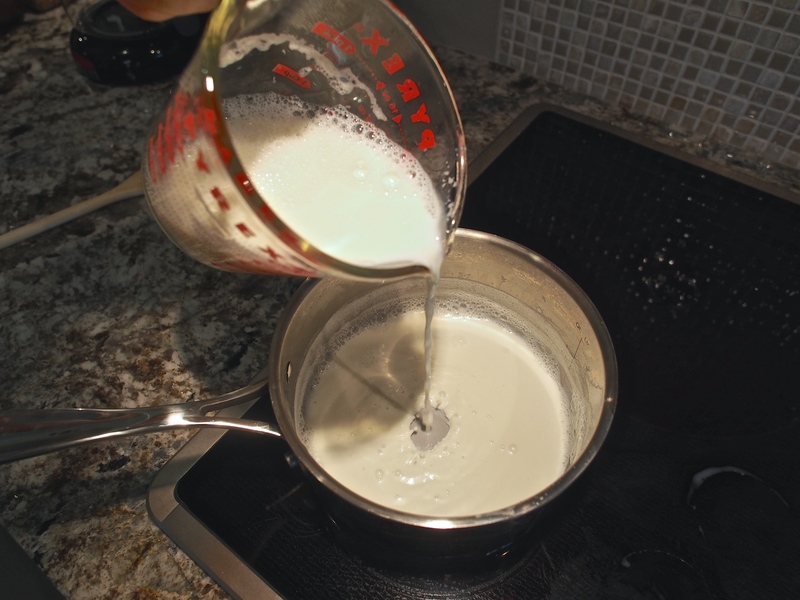 Immediately pour the milk in one fluid motion into each cup, don’t double pour. 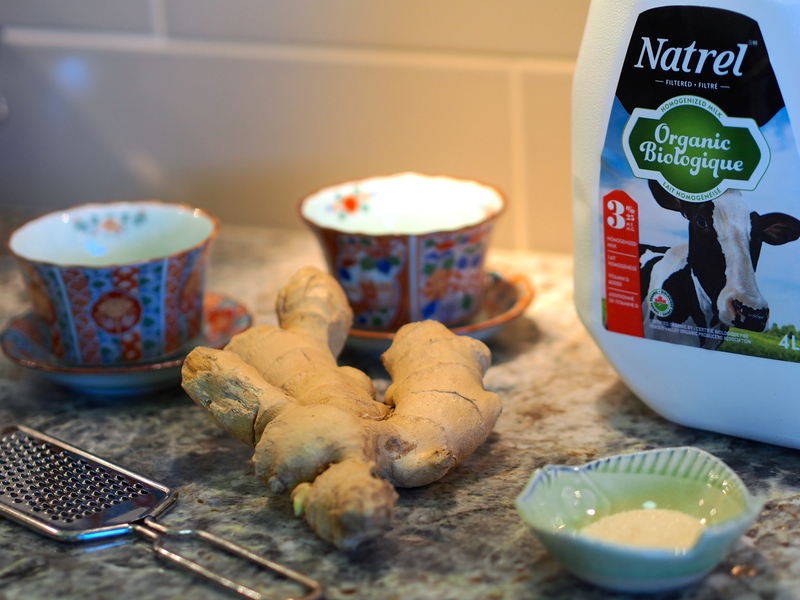 This ‘crashing’ motion of the milk into the ginger is where it gets it’s Chinese name of ‘ginger juice crashed with milk’. Let it sit for 10 minutes or until set. *DO NOT mix, shake, or move the pudding after pouring in the milk or it won’t set properly. 6. After 10 minutes, it should look like there is a film on top. Gently shake to see if it has set to a very loose consistency (even softer than tofu pudding). The ultimate test is to place a spoon on top and if it stays up, it is ready! If it’s not ready, let it sit for 5 more minutes- if it still hasn’t set after 15 minutes it likely won’t, so just enjoy it as a drink!